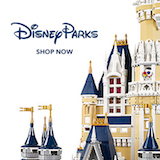 Other Timeshare Related - DVCNews.com - The essential Disney Vacation Club resource! Marriott Vacations Worldwide will add 40 new properties and 250,000 members to its portfolio, along with timeshare trading company Interval International. DVC adds RCI "Extra Vacations"
Disney Vacation Club members can now participate in RCI's "Extra Vacations" program, paying low cash prices for timeshare accommodations without trading any points. Disney Vacation Club members willing to travel on 30 days notice can take advantage of some nice savings when trading into an RCI resort. Individuals looking to trade their non-Disney timeshare for a Disney Vacation Club resort stay now have to pay considerably higher fees. Disney Vacation Club senior Vice President Ken Potrock is set to add another Orlando-area development to his resume.